Please remember that no dentist appointment is necessary if you are in pain. That's always been our policy. 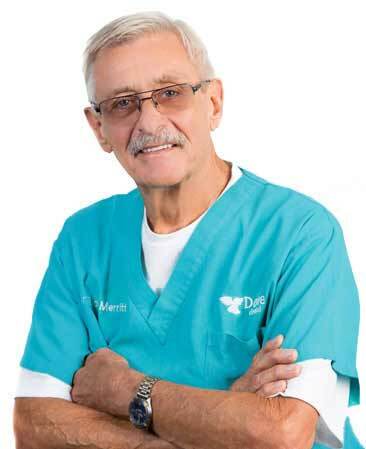 Dove Dental Centres was created and founded, by the late Dr. Rick Merritt, to provide customers and patients in the London, Ontario and surrounding regions a convenient, multi-location, open and relaxing option for their dentistry needs. Preventing dental disease has been our mission for the past 30 years. Providing our patients with a complete first visit that is informative, educational and instructional is our foremost objective to help you achieve the best result and ensure future disease prevention. We hope that our website will interest you enough to contact the office for further information and that you will consider Dove Dental Centres for all of your dental requirements and regular dentist checkup. If you are looking for a new London, Ontario dentist you've come to the right place. We've proudly served as dentists in London and area for over 30 years, providing emergency care for patients in pain and in need of long-term care for wisdom teeth, braces, gingivitis, root canals, invisalign, sleep apnea, teeth whitening and much more.